I love breakfast and I am almost always craving sweet over savory when it comes to my morning meal. I’m not perfect and sometimes I run out of fruit. GASP! So, now what? Introducing Tea Infused Egg White Oatmeal. I love tea infused oatmeal. Why? Because you can literally make your oatmeal taste like any tea that you have on hand! 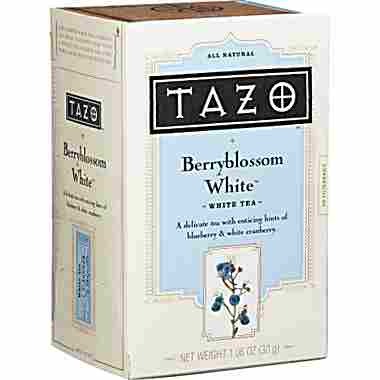 Today I chose to infuse my oats with Starbucks Berryblossom White Tea. Since I wanted blueberries and didn’t have any. This tasted just like the tea! 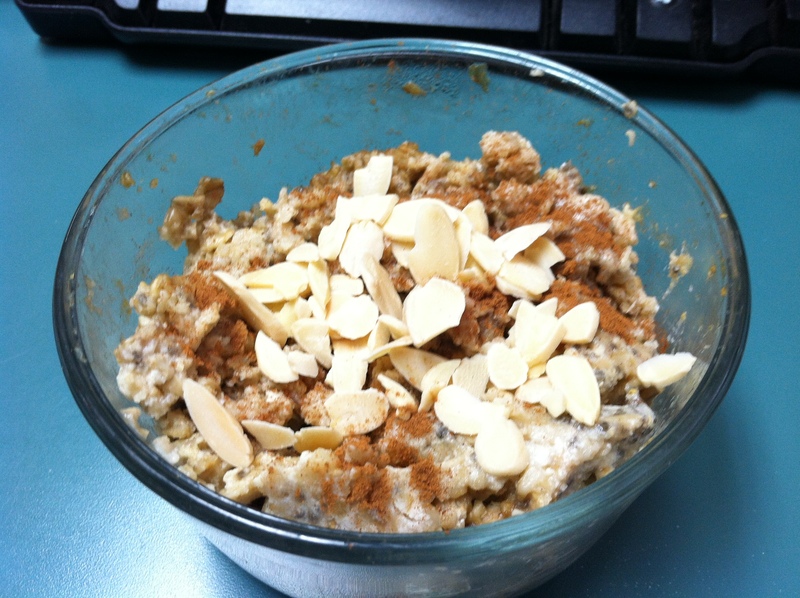 I topped it with cinnamon and slice almonds yum! Steep the 2 tea bags in the hot water for about 5 minutes. Make sure to squeeze all the flavor out of the bags. Mix oats, chia seeds and stevia then add the tea water to the mixture. Tea infused oatmeal is great in any flavor: earl grey, chai tea, chamomile, lemon etc. Can ommit egg whites and just follow the previous steps. Can also be made on stove top! 0 Responses to "Tea Infused Egg White Oatmeal"
Never thought about trying something like this! I think I’ll try it without the egg whites first.